EM methods have played an important role in mineral exploration and engineering problems since at least the early 1960s. A plethora of EM systems have been designed over the years, varying in size, source functions and receiver-transmitter configurations. The great variety of surveys is reflective of the scalability EM methods. 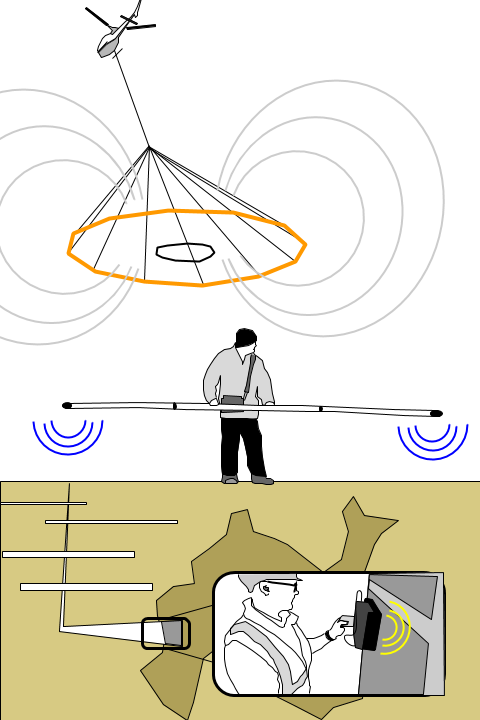 As illustrated in Fig. 138, EM data can be acquired at the centimeter scale (mine tunnels, structures), to meters (ground survey) to kilometers (airborne). While the instrumentation may differ in shape and name, they are all based on the same basic principals of EM induction. 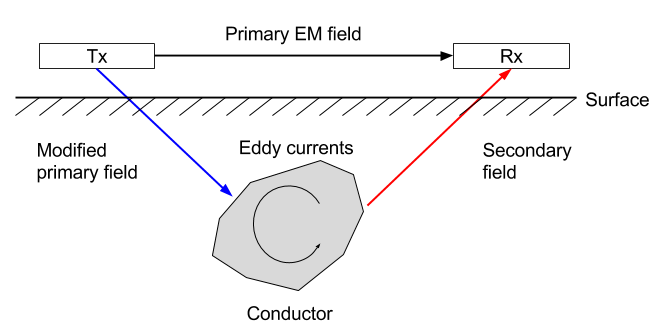 The generic electromagnetic (EM) survey is summarized in Fig. 146. The energy source is either an electric field or changing magnetic field. The physical property of interests are magnetic permeability, electrical permitivity and conductivity. The data can also be either electric or magnetic field values.